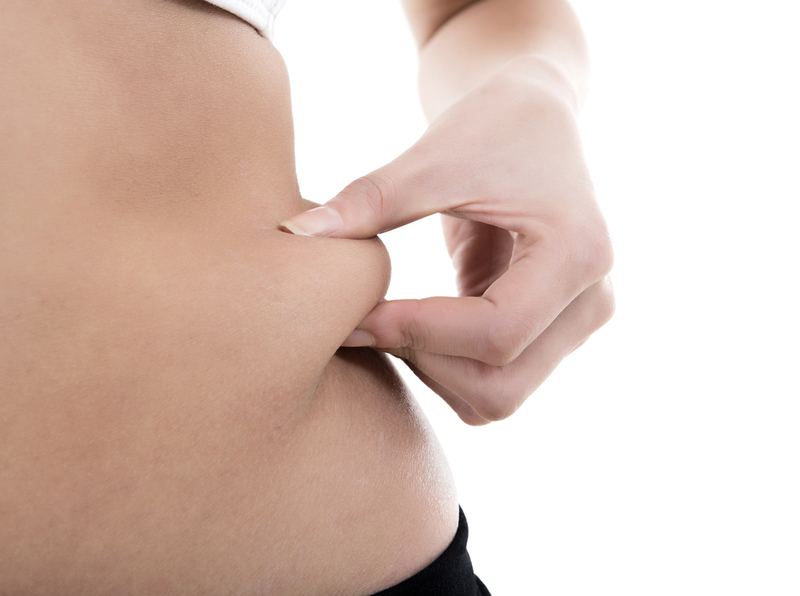 Why Get our Orange County Liposuction? With our sedentary lifestyles in the 21st Century, fitness takes some dedication, and the older we become, the more dedication it takes. If you are eating a healthy diet, diligently working out, and carefully monitoring your calories, nothing is more discouraging than to still have stubborn fat deposits that resist all your efforts. Stubborn rolls of fat under the chin can make you appear older and heavier. Unsightly bulges and “love handles” can affect the way your clothes fit, and mar your silhouette. Thankfully, our Orange County liposuction can address this. Due to a range of physical factors, many people develop fat deposits in various parts of the body that do not respond well to diet and exercise. If this dilemma is familiar and you are tired of fighting a losing battle, VASER® Liposuction in Orange County at Athenix Body Sculpting Institute may be the right solution for you. This minimally invasive body sculpting procedure could make it possible for you to have the body you have been working so hard to attain. VASER® Liposuction is a revolutionary new technique developed in the early 21st Century. (“VASER” is an acronym for Vibration Amplification of Sound Energy at Resonance.) It uses small micro-cannulas and ultrasound frequencies to gently and selectively dislodge fat cells away from the body’s soft tissue. Our Orange County & Irvine board-certified plastic surgeons can remove fat cells out of the body with this modern technique which involves less bruising, bleeding and swelling – common negative effects of traditional liposuction. With this cutting-edge technique, our Orange County lipo surgeons can safely and effectively remove unwanted fat, producing smooth results with a quick recovery and less downtime. There are vast differences between traditional liposuction and VASER® Liposuction. Traditional liposuction uses larger instruments, and is a more generalized sweep of the fat and tissue. This old style mechanical method could mean pain, bleeding, bruising, and swelling, and a longer recovery time. At Athenix, we are always working to find and employ the least invasive procedures and less invasive technologies and treatments in our goal to provide the best liposuction Orange County has to offer. These advanced methods tend to produce better results and reduce discomfort and downtime for our patients. With VASER® Liposuction, fat cells are not damaged or destroyed in the removal process. This enables Natural Fat Transfer, in which our Orange County liposuction surgeons are able to shift those viable fat cells to increase volume in other parts of the body. With this process, your own fat can be used to augment the breasts, buttocks, face, backs of the hands, or virtually any area of the body. This transfer process produces a very natural increase in volume and a supple, youthful appearance. Our liposuction surgeons in Irvine, board-certified plastic surgeons, have a high level of control with VASER® Liposuction. This makes it possible to operate precisely and to safely work on smaller areas of the body, such as the face, neck, and hands. This body sculpting procedure is very popular with our patients who want to get rid of stubborn fat deposits and reshape the body, as opposed to losing weight. VASER® Liposuction is easier on the body than older forms of traditional liposuction. The procedure can be comfortably performed with a local anesthetic, which eliminates the risks associated with general anesthesia. Moderate activities may be resumed shortly after your Orange County liposuction, which makes this minimally invasive form of liposuction ideal for our patients with busy lifestyles. Many women who work out and lose weight still have fat on the hips, buttocks, and thighs even after the upper body has slimmed down. Many men and women still have “love handles” at the waist or flabby areas on the abs after significant weight loss. This can be discouraging, to say the least. With VASER® Liposuction, our Orange County board-certified plastic surgeons can re-sculpt the body you deserve to have when diet and exercise are not enough. Who Can Benefit from our Orange County VASER® Liposuction? VASER® Liposuction is ideal for people who have shed pounds overall but can’t seem to budge those stubborn fat deposits. It is also an excellent procedure for patients who want micro contouring and to augment other areas of the body with Natural Fat Transfer. Using these techniques, our liposuction surgeons in Orange County can sculpt and contour the body you’ve always dreamed of having without a difficult recovery or extended downtime. If you are tired of fighting an uphill battle against stubborn fat deposits – and losing, VASER® Liposuction might be the best solution for you. At Athenix Body Sculpting Institute in Irvine, our physicians can custom tailor a body sculpting procedure for you based on your unique anatomy and your personal treatment goals. To see some of our body sculpting results, please view our Before & After photo gallery. Our number one goal is outstanding results and a comfortable treatment experience for you, and safety is always our top priority. Call or use our online form to schedule a complimentary consultation with a skilled, board-certified plastic surgeon and body sculpting specialist today. What are the various types of liposuction techniques? The latest developments in liposuction systems are far superior to the traditional method. At Athenix in Orange County, we offer VASER lipo, a gentler, water-assisted liposuction method. It allows us to more accurately sculpt the body, including micro-body contouring to create muscle definition. When performed correctly, you should not experience any discomfort during the procedure. The area from which the fat will be removed will be numbed with local anesthetic for your comfort. How much swelling will I have after liposuction? It is normal to experience some swelling or bruising after treatment, but it is typically far less than with traditional liposuction which was more invasive. Liposuction is not a weight loss procedure, but a body sculpting procedure. You should be at a healthy weight to undergo the procedure, but of course will lose pounds, as the fat is removed from your body. Depending on the amount of fat extracted, you could lose six to eight pounds. Will I have scars if I have liposuction? At Athenix in Orange County, we use the most advanced liposuction technique. The cannula, which is a small, thin, hollow needle will not leave you with any large noticeable scars if you follow all aftercare instructions carefully. What are the different types of liposuction, and which one is best? We use VASER liposuction as it is gentler on the body and preserves the fat cells, so they can be purified and used for natural fat transfer, bringing volume to another area of the body. Can liposuction work to create more definition in upper arms, buttocks, or abdomen? We offer advanced micro sculpting to achieve a more “chiseled” look to your body. With our micro-contouring procedure, you can achieve a more sculpted look with minimal downtime. Your cost will be based upon the number of areas to be treated, and the time it will take to create the look you envision. We do all we can to make it affordable, including easy financing with a monthly payment of about $97. Will I need general anesthesia to get liposuction? No – we use local anesthetic to numb the areas to be treated, with no need to be under general anesthesia. As we use the gentle VASER lipo system, it is far easier to tolerate than earlier liposuction techniques.